CHECHESMITHNATION : Go Color-Blocking Just Like Kylie In Fabulous Mini Dress And Coat! 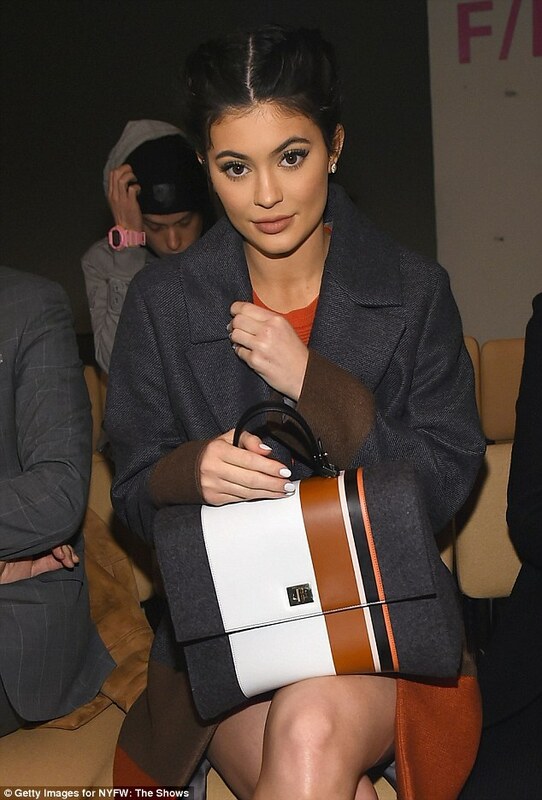 Go Color-Blocking Just Like Kylie In Fabulous Mini Dress And Coat! The youngest of the Kardashian-Jenner's clan, Kylie, looked so girlie pretty rocking this colorful combination get-up. Tyga's girlfriend, was spotted clothe in a mini dress and coat, that featured colour-blocks like dark grey, brown and orange colors, the reality TV star, paired her look with same colored bag,and finished her look up with a dark colored sneakers.